As an important wetlands reserve Beddington Farmlands has a variety of dragonflies and damselflies. During the last decade or so 16 Odonata (dragonfly and damselfly) species have been recorded here. 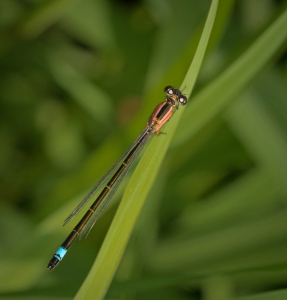 The first record this year, on 4th May, was of a Red-tailed damselfly. 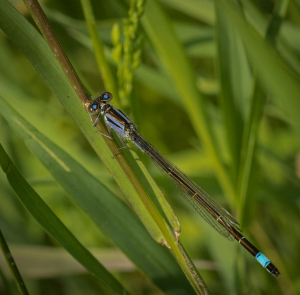 On 27th May a transect walk revealed 3 species of damselfly (Large red, Common blue and Blue-tailed). There were also one or two dragonflies flying around, but never close enough to be identified. 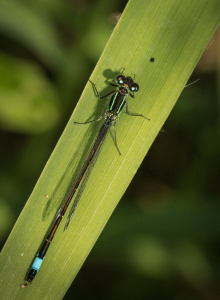 Two female forms (rufescens and violacea) of the Blue-tailed damselfly, and also a juvenile male, were recorded and photographed – all with differently coloured thoraxes, as shown in these photos taken by Czech Conroy. We’ll be doing further monitoring of Beddington’s Odonata species in the summer and autumn.